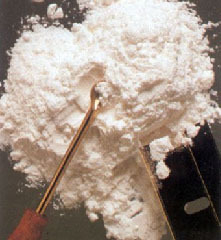 According to the Tenerife authorities, the latest cocaine ring which has recently been smashed on the island was the biggest drug-distribution network in the Canaries. 11 Colombian men, and one Tenerife woman were arrested in swoops on homes in various parts of the north of the island earlier this week. The operation originally kicked off last May after two people were arrested as they flew into La Palma with one kilo of cocaine. There were more arrests at the end of July and a total of 40 kilos have now been seized, along with 15 luxury cars and €370,000 in cash.